I am completely stunned and breathless after reading this book. The way in which Léon is able to craft the past into this novel is probably the most stunning storytelling I’ve come across. Uncover the dark past that Hermin and Lenny shared together before Lenny, now a famous pianist, leaves Hermin, his tutor and leaves, with essentially no notice, but reappears in Hermin’s isolated cabin deep in the blustery mountains. Coming from a millennial author, Wanderer is worthy of attention, and I hope it's spread widely. Be sure to grab a blanket for this one, because it’s cold. Sarah Leon captures for the reader an almost impossible thing: the experience of music without needing to hear it. Through an intensifying pattern of thawing a forgotten past and shoveling through an uncertain present, we learn not only about two extraordinary musicians and their inspirations but also a human relationship so strong, so flawed, that for them it is impossible to name but to the outsider can only be read (or played, or sung, or shouted) as love. 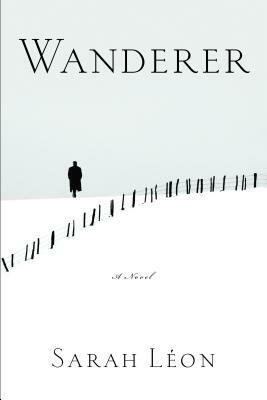 In Wanderer Leon smooths a harsh and bleak world with melodic beauty, weaving in rhythms of fear, tension, doubt, and desire to build a concise but powerful symphony of a novel. Wanderer, echoing Schubert's recurring theme, is a novel of rare delicacy, a twilight adagio, a Winterreise, and a subtle ode to German Romanticism. Sarah Léon was born in 1995 and studied literature and musicology at l'École Normale Supérieure in Paris. She won the 2012 Prix Clara for her novella, "Mon Alban."